Think for a second, about you’re daily courage. Is it taking time out for yourself everyday? Is it sticking to your fitness regime? Is it practicing self-love & self-care? Or is it simply getting out of bed every morning? We all have an area in our life that we need a little courage to get through. Whilst you can’t always control your circumstances you can always choose how you will respond to them. No matter what challenges you face you have the power to make the choice about whether to let the world affect you or to go out and affect the world. You will never be able to have your dream job nor live your dream life unless you first find the courage to dream big enough to identify what it is. Dare to create a vision for your life that is bigger than the one you’ve had until now in your relationships, your career, and your life in general. Express yourself fully and authentically in every relationship and in every encounter you have with others, giving up pretending to be more or less or different from who you truly are. Be genuine, humble and, unpretentious but most of all, just be yourself. There is nothing more valuable or attractive. Nothing changes if nothing changes. Have the guts step boldly from your comfort zone to make the changes and take the chances that call you forward to fulfilling the potential within you. RELATED: Time to get out of your comfort zone? Here’s how! Sometimes we need to say no to the good in order to make room for the great. However, finding the guts to say no, requires first being clear about what you most want to say yes to. Life’s richest fulfillment comes from being as open to experiencing life’s pain as deeply as its joy. Opening your heart fully to the depths of emotion that a life well lived calls forward takes great courage but it is the only life worth living. Drop the barriers that are creating distance and isolating you from others, reveal your humanity and make yourself available for others to know, to love, to care for and to connect with. Nothing is more nurturing to the spirit. Put your faith in the wisdom that created you, know that who you are is not defined by the outcome of your efforts and trust that you have within you all you need at any moment to take on the challenges life presents to you. Giving up resisting what you cannot control and going with, rather than against, the flow of life makes available to living in the present moment. Finding the courage to let go will not impede you ability to achieve what you seek most from life, it will enhance it. 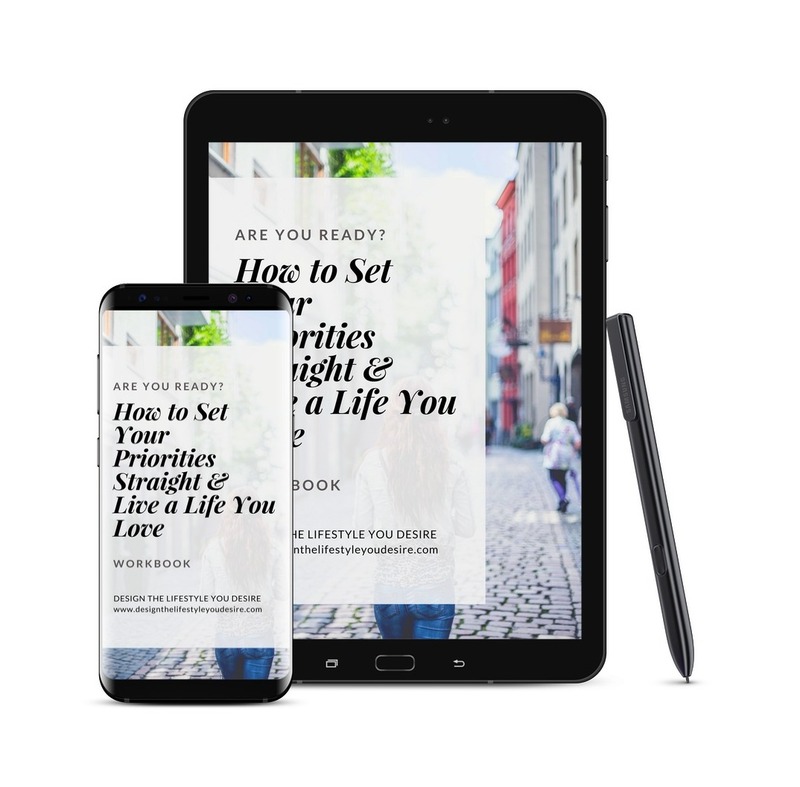 Download ‘How to Set Your Priorities Straight & Live a Life You Love‘ Workbook below!